Shane Judah Eaker has over 10-years’ experience managing technology risks in accordance with cybersecurity regulations and standards. 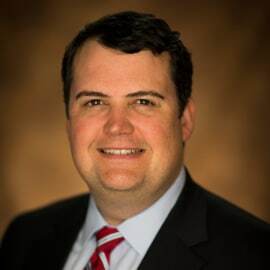 Shane currently oversees HealthSouth’s 3rd party risk management, patching and vulnerability management, and HIPAA ePHI and PCI security programs. Previously, he led efforts at Southern Company to identify and secure the electric grid with the NERC Critical Infrastructure Protection standards. His industry contributions include influencing the development of the NIST Cybersecurity Framework in 2013, scenario planning for Cyber ShockWave in 2010 which highlighted the need for more effective public-private partnerships, and development and implementation of federally mandated cybersecurity standards in 2006. Shane has degrees from Auburn University (98’ B.S. Computer Science) and the University of Alabama Birmingham (’09 MBA) and holds CISSP and PCIP credentials. He lives in Hoover, Alabama with his wife, Mitzi, and their two sons. In his free time he enjoys an occasional game of golf, travel, and coaching youth sports.